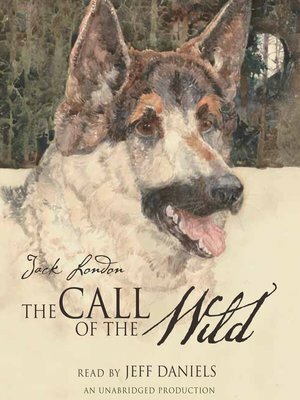 Jack London's The Call of the Wild was written in 1903, but Buck's gripping adventure makes for a thrilling listen on audio more than 100 years after it was first published. This gripping story follows the adventures of the loyal dog Buck, who is stolen from his comfortable family home and forced into the harsh life of an Alaskan sled dog. Passed from master to master, Buck embarks on an extraordinary journey that ends with his becoming the legendary leader of a wolf pack. "To this day Jack London is the most widely read American writer in the world," E. L. Doctorow wrote in The New York Times Book Review. Generally considered to be London's greatest achievement, The Call of the Wild brought him international acclaim when it was published. His story of the dog Buck, who learns to survive in the bleak Yukon wilderness, is viewed by many as his symbolic autobiography. "No other popular writer of his time did any better writing than you will find in The Call of the Wild," said H. L. Mencken.